Search for the latest homes, condos, lots for sale in Inlet Beach, FL. Learn more about this community with our local Inlet Beach Guide. Explore other 30A communities and listings. Inlet beach is located at the east end of Scenic 30A adjacent to Rosemary Beach. Surrounded by 13 acres of protected dunes, Inlet Beach feels as if it has been untouched by time. Nicknamed "Soldiers Beach," many World War II veterans received land in exchange for a $50 filing fee and agreement to construct an 800 square foot house. Inlet Beach homes include everything from classic beach cottages elevated on stilts to modern homes. On the south end of town lies a large public access beach to enjoy. Spend your days walking along the sandy white beaches with turquoise water or take a hike in Camp Helen State Park. After that, stop by the Donut Hole for some coffee and pastries. They also have a fantastic breakfast and biscuits. In the evening, head over to The Terrace for fresh seafood and tapas. The listings on this page include homes and real estate in Inlet Beach, Florida. If you’re interested in scheduling a showing or learning more about any one of these homes, simply fill in your contact information and click the “Request More Info” button. Our team is here to provide you with any information you need, including disclosures, the sales history of a property and nearby market data. Video tour of Inlet Beach, FL. Inlet Beach, Florida is located on the eastern most end of the 30A corridor and Walton county. Although this little community is experiencing rapid growth, Inlet Beach still has that old Florida vibe. Moving to Inlet Beach, FL is one of the best decisions we have ever made. 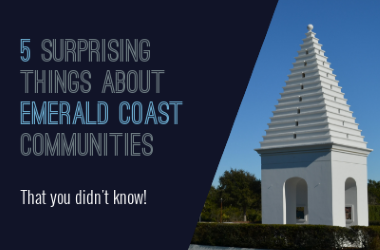 My family absolutely loves the area as it has so much to offer such as great restaurants, shops, coastal dune lakes, state parks and the best beach access points in South Walton County. A visit to South Walton, Florida's Inlet Beach will make you feel like a "local" in no time. Enjoy this laid-back South Walton beach neighborhood with its quiet streets, classic Florida beach cottages, and beautiful ocean scenes. It offers the largest public beach access point in South Walton and has plenty of activities for you and your family to explore during your beach vacation.